CPC optimization can a very valuable tool to help you achieve your goals with Amazon PPC. Whether you’re looking to maximize sales, profit, or targeting a lower ACoS, by learning to optimize your keyword bids you will be able to exert greater control over your advertising costs on Amazon. 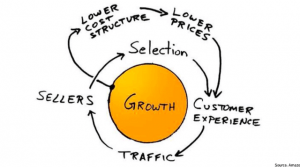 Amazon PPC Series: How Should I Structure My Ad Campaign? Before starting with Amazon PPC, sellers should think carefully about how much time and effort they want to put into PPC campaign optimization. A campaign that requires less effort will also mean less precision over campaign optimization, and vice versa. Campaign budgets allow Amazon sellers to assign a cap on how much they want to spend on PPC advertising. In this article we will breakdown how the different campaign budgets work, what you should take into consideration, and how to use the campaign budgets for maximum effect.